The crowd cheers as points are scored, yet few spectators at the Suncorp Stadium realise that the stadium is built over some of Queensland’s earliest cemeteries. The park at the northern end of the William Jolly Bridge covers the burial place of the approximately two hundred convicts, soldiers and officials who died in Brisbane from 1825-42. 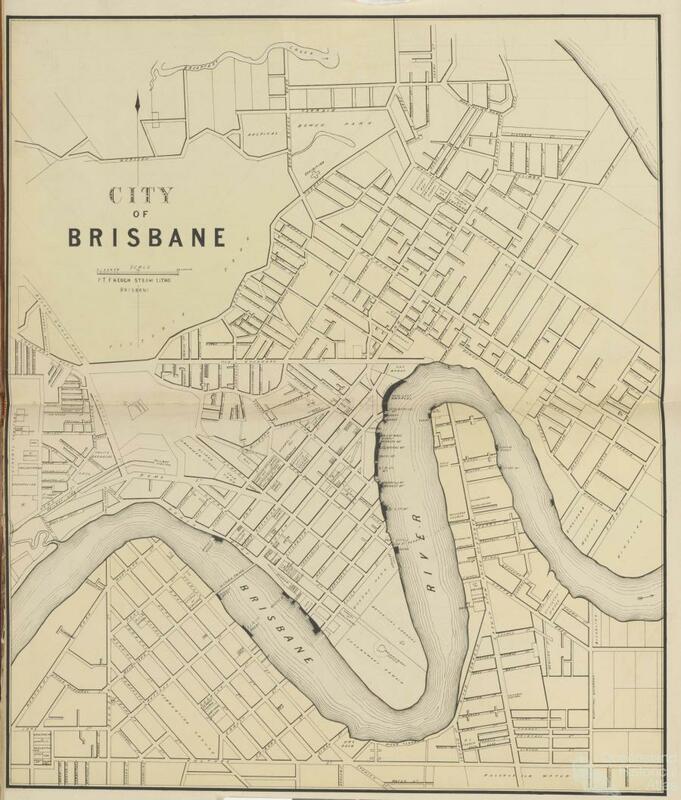 Buried slightly apart on the riverbank were three children, whose remains were moved to the Toowong Cemetery in 1881. 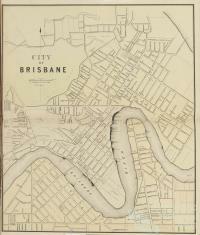 After Brisbane was opened to free settlement, seven denominational burial grounds were established for the Episcopalians (Church of England), Presbyterians, Roman Catholics, Jews, Wesleyan Methodists, Congregationalists and Baptists moving south to north from Milton Road along today’s Hale Street. These cemeteries were established in the transition period from churchyard burials to modern cemeteries. Prior to the 1850s, the majority of burials in the United Kingdom were conducted in the deceased’s parish churchyard. Due to overcrowding in city churchyards, metropolitan authorities established general cemeteries. The Paddington cemeteries resembled churchyards in size and exclusivity, though, except for the mortuary chapel in the Episcopalian burial ground, did not have attached churches in their grounds. When Brisbane expanded to overwhelm these burial grounds, the Brisbane General Cemetery at Toowong was established along the mortuary park model popular from the mid-Victorian era. 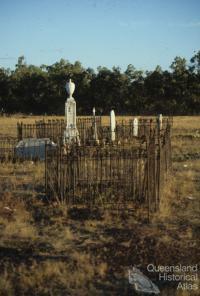 From 1910-13, the overgrown cemeteries at Paddington were resumed and a comparatively small number of remains and memorials were moved to other Brisbane cemeteries. 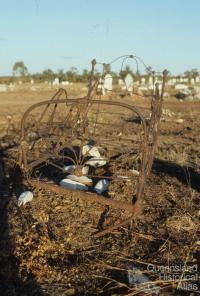 Today, several thousand of Queensland’s earliest residents still lie under the stadium complex. 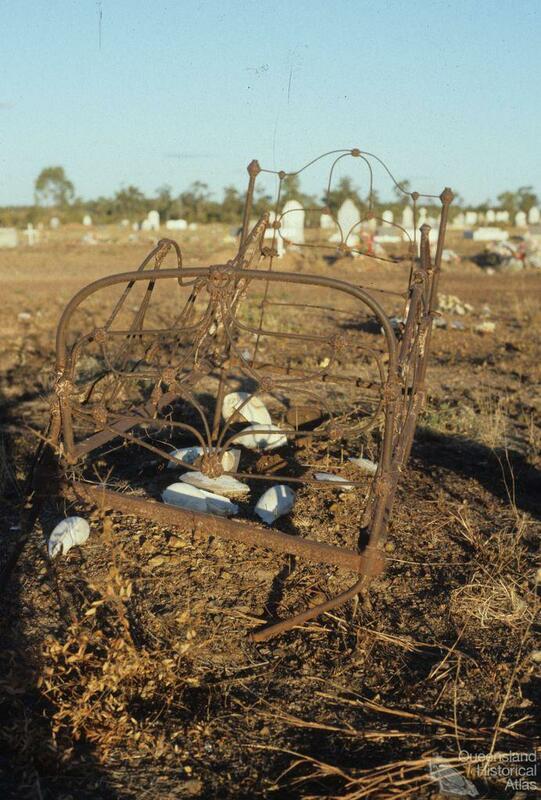 A rusty cot, a concrete-filled wheel rim; these mementos dot the Queensland landscape. 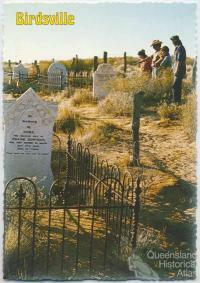 Death came frequently to pioneer families. 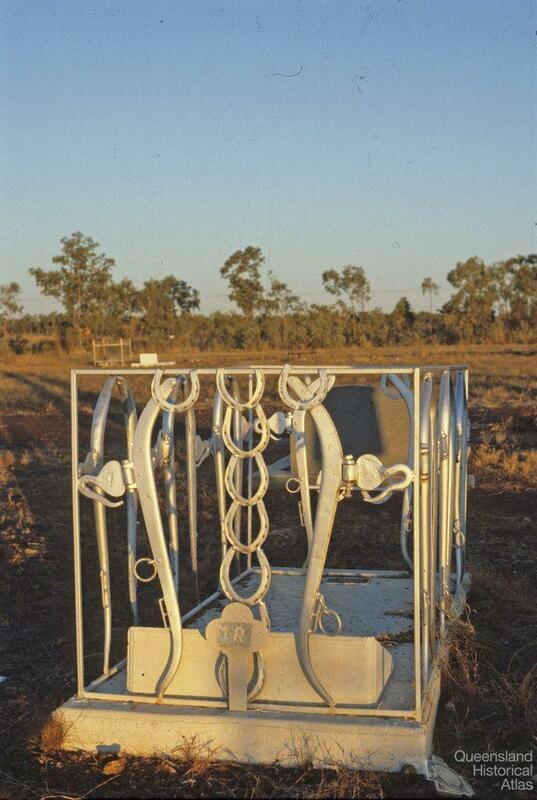 Often isolated and without financial resources, the bereaved fashioned memorials with the materials at hand. 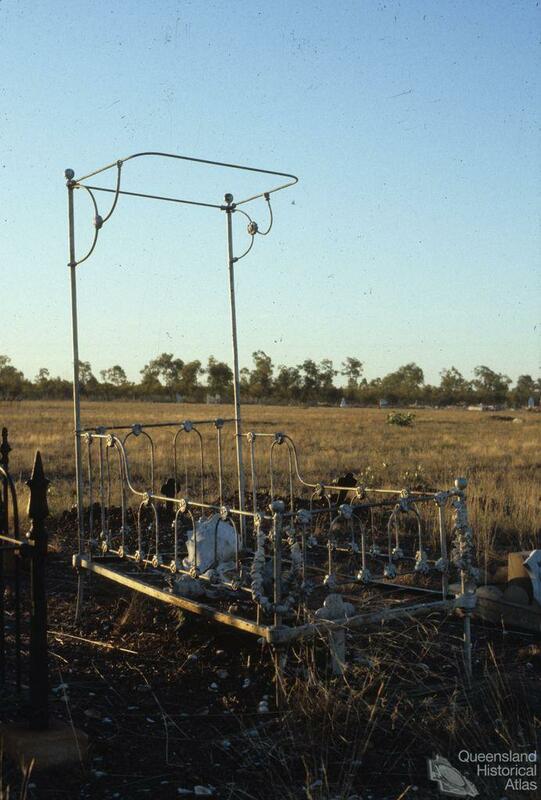 In the Gulf country, many children’s graves are surrounded by the cot they died in as some mothers would not let a newborn sleep in a cot in which a previous child had died. In Longreach, a mate is remembered by his name set in concrete. 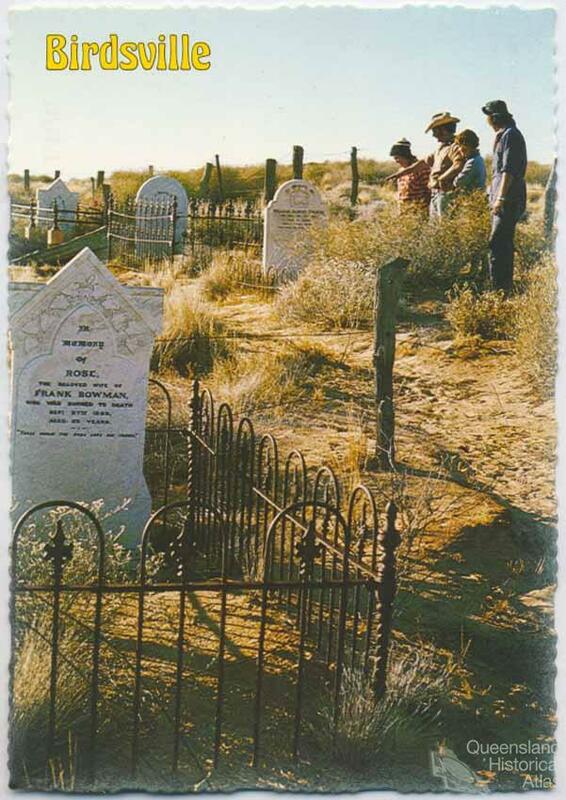 Where circumstances allowed, a fine headstone may have been erected, standing alone in a paddock or jostling for space in a metropolitan cemetery. In all of these cases, the memory of the dead lives on in the landscape. A gnarled frangipani, a heritage rose; plants also have special meaning to the bereaved. 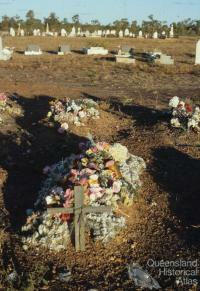 Cemeteries have become the repository for many exotic and rare native plant species. Frangipani or the ‘cemetery tree’ were planted in the burial grounds of India. Brought to Queensland by early settlers, frangipani shade many graves and fill the air with their distinctive perfume. Roses and camellias, rosemary for remembrance, all were planted on graves. 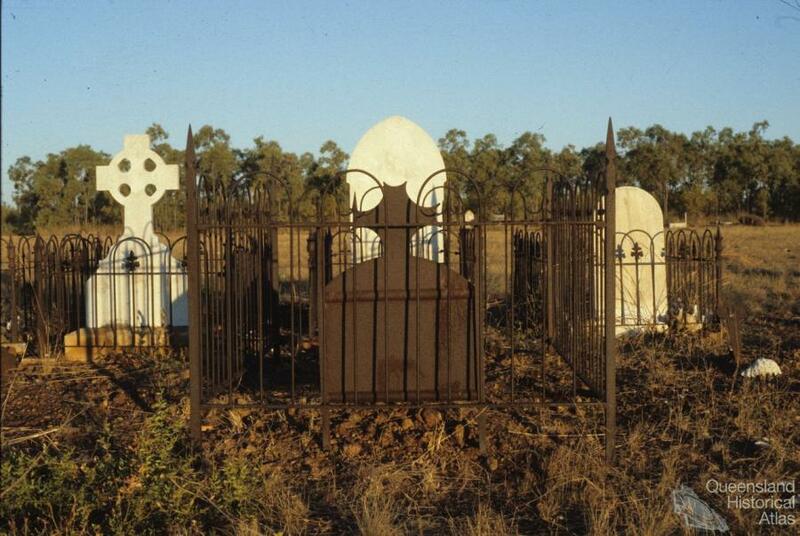 Rural cemeteries were fenced to protect the graves from grazing cattle providing a safe haven for many species of plants no longer found elsewhere. A numbered tablet, a Japanese headstone; cemeteries tell the history of their communities. The Goodna Asylum did not even dignify their dead with a name, just a number on an identical stone. The vertical characters remind visitors to Thursday Island of its pearling past. Celtic crosses and Italian mausolea evoke memories from distant home lands. 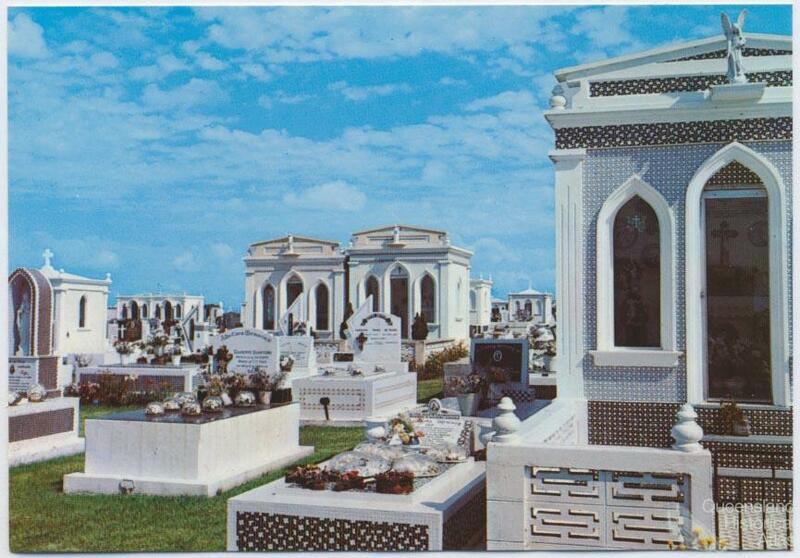 Made from grey Argyle granite or brilliant white marble, the dead could literally rest under a piece of the ‘old country’. 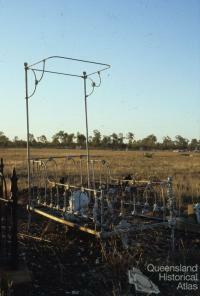 Cemeteries have made a lasting mark on the landscape. They remain long after the communities for which they were established have disappeared. 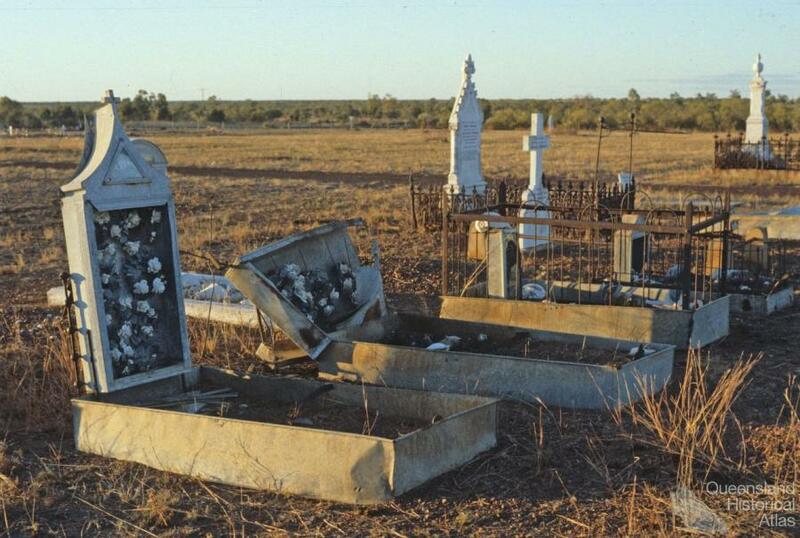 The gold-mining township of Paradise, on the Burnett River, no longer appears on modern maps, yet a handful of graves stand in a paddock, silent testament to a community long past. The terrible death toll of epidemics and wars are etched in stone. Colonial parents could expect half of their children to die before the age of five, the situation not improving until the first decades of the twentieth century. 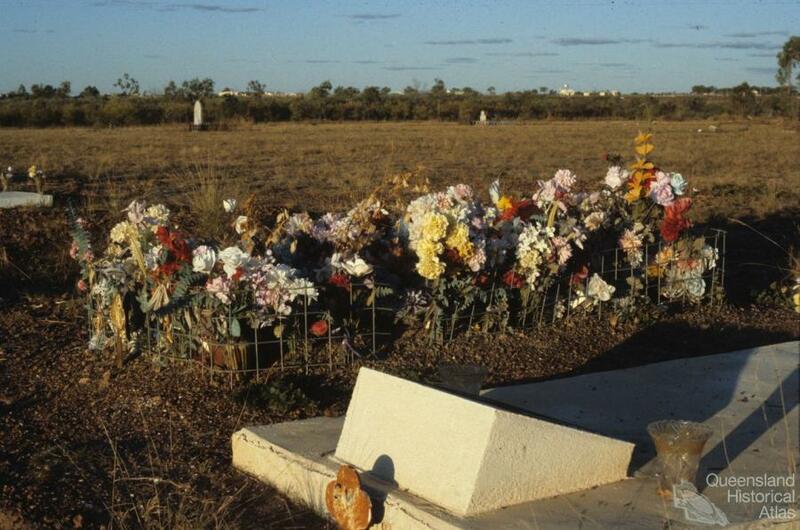 There is barely a Queensland cemetery which does not name a young life lost in World War I. 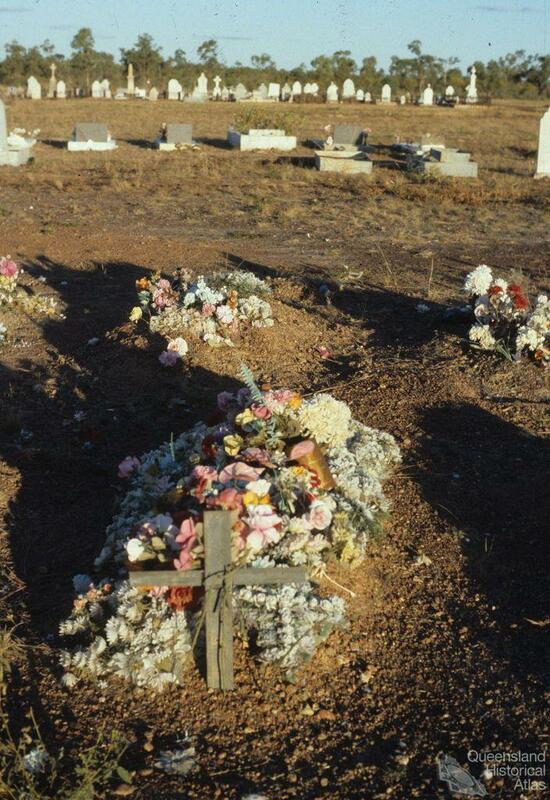 Named on family headstones, as a focus for a parent’s grief, these casualties were buried where they fell. Skyscrapers dominate the skyline at Brisbane’s General Cemetery at Toowong. The great and the good command the best views. The poor rest in the hollows. As in life, the dead were discriminated against. A metropolitan cemetery acts like the city’s lungs, providing valuable green space for jogging, walking the dog or contemplating one’s mortality while wandering among the headstones reading the inscriptions. From the mid-twentieth century, the emphasis was on maintenance, not memorialisation. 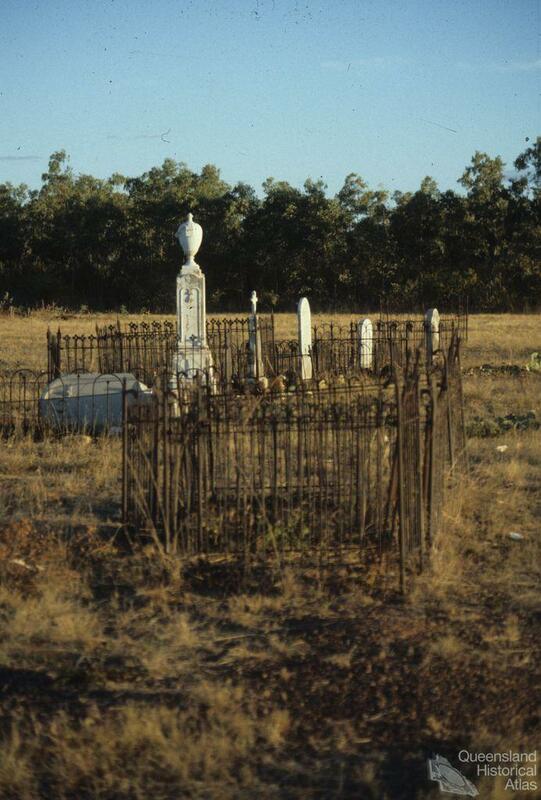 Great expanses of easy-to-mow lawn cemeteries with their standardised plaques were established in many of Queensland’s population centres. This is yet another type of landscape where memories abound. However, where the opportunity exists to erect a memorial, the bereaved remember their dead with an infinite variety. A headstone can tell a story by its shape, stone, symbol or inscription. Some symbols are obvious, a shamrock or winged-hourglass, others obscure, their meaning lost in the mists of time. 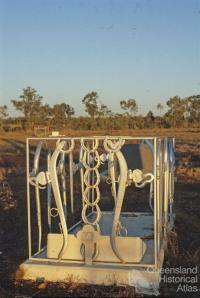 The burial places which dot Queensland’s landscape come in infinite variety of size and memorialisation. From the stark isolation of a lone grave to a place of peaceful contemplation in a major city, each grave evokes memories. 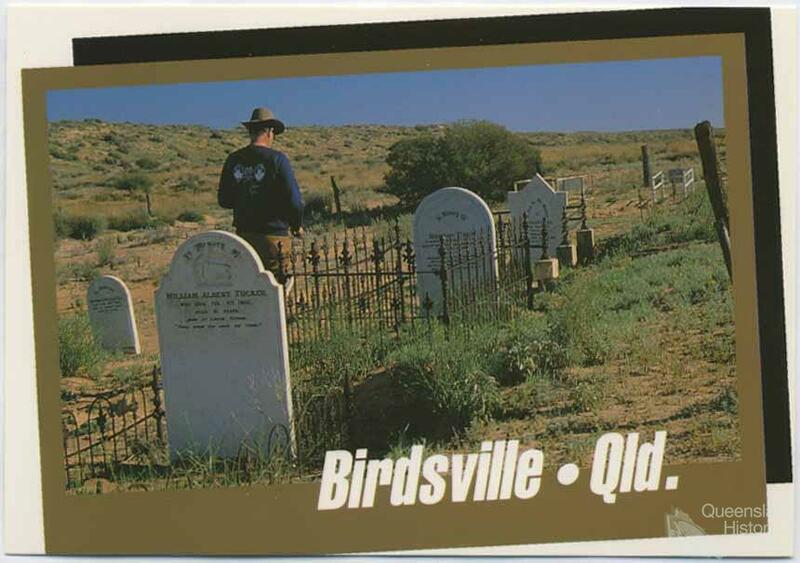 Bathed in Queensland’s bright sunlight, our cemeteries lack the morbid gloom associated with their overseas counterparts.